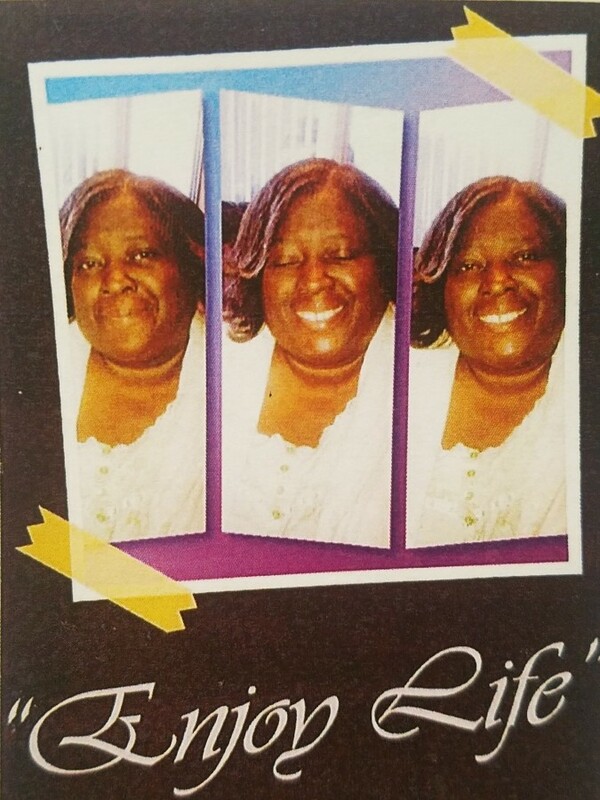 Obituary for Debrah Therell Simpson | Sierra View Funeral Chapel & Crematory, Inc.
Debrah was born on June 20, 1964, to Harold Simpson and Annie Mae Brown. Debrah was the 5th child born to her parents but was the 9th over all because her parents had children of their own before her parents became her parents. Debrah was born and grew up in Oakland, California, before moving to Palo Alto, where she attented school at Costano Elementary, Green Oaks, and Menlo Atherton High School. Debrah was a very outgoing person, who loved to dance, enjoy get-to-gathers and to be around her family. After high school Debrah and her BFF Sonya would hit the house parties up and enjoy being teenagers but it wasn't until she had her first born Garron, when she became a mother. Then after, she had two more children, a daughter and another son, she decided to relocate to the Sacramento area. There she continued to make friends. Debrah was well loved by everybody who knew and met her. She always had a open door because she would feed anybody. Debrah's house was the house to be at on the Holidays because everybody was going to be there. Debrah had a heart of gold even after she fell ill, she would still make away for friends and family to get together on the Holidays, having her brother Greg cook or to help her cook so that "family and friends would be able to eat and have a good time". Debrah was happy just knowing that everyone else was happy. Debrah loved her kids and wouldn't part from them no matter what. She loved going to the casino, watching TV and playing House of Fun on her phone. Debrah knew her time here on Earth was about to end because over a year ago she spoke about should she pass, to play the song "I Look to You," by Whitney Houston, which the nurse on duty said she woke up blasting on the morning of her passing. Debrah's passing has touched so many people because she was loved just that much. Debrah would always say how much she loved the Lord because she was a true believer in the Lord. Debrah raised and taught her grandson Lil Harold and her neice Shanell, everything that they know as if they were her own children. She taught them how to love the Lord as she did herself and her own kids. She had a special love for her neice, Tootsie Roll, whom in her last few years grew to have not only an aunt and niece relationship, but a friendship like no other, her son Garron was her biggest supporter because he would do anything for his mom and she knew that. Debrah departed this world listening to her song "I Look to You" by Whitney Houston, leaving us all by letting us know that she went in peace. Her parents, Harold and Annie Simpson; her oldest brother Jessie Wallace Brown AKA Travis; her grandparents in both sides; her aunties, uncles, cousins and friends. Cousins Keshia, Letra, Annette, Pookie, Anthony, Joe Joe, Foot, Percy, Shantaraye, Roy, Overnon, CHelly RO, LaTanya, Lothario, Renee, Marlon, Rufus Jr., Lil Joe, Rosie Angela, Beverly Miller, Moon, Lil Kenny, Clarence, Ken-Wakanda, LaSondra Ray and a honst of family and friends especially Ms. Jaunita, Sonya, Bev and Lena. We the family would like to thank all of you for your prayers and your condolences.